In most cases, when we are talking about bad breath we mean unpleasant smelling breath originating from the oral cavity. Although one in every two people is occasionally affected by this problem, it is still taboo to tell someone that they have bad breath or to talk about it if you personally suffer from it. Most of time it’s not difficult to do something about bad breath. Saliva test: Spit a few large drops of saliva into a small glass. Cover the glass with a lid for around five minutes. Remove the lid and sniff. Air bag test: Exhale into a bag that has no holes in it. Keep closed. Take the bag into a room that you have previously aired-out well, place the air bag (plastic bag) in front of your nose and sniff. Wrist test: Clean your wrist well with water. Stretch out your tongue. Now give your wrist a strong lick with your tongue. Let the area of moist skin dry for approx. 30 seconds. Sniff. You can also see your GP for a professional test. A breath gas analysis (gas-liquid chromatography by means of a halimeter) can provide information about whether you have halitosis or not. Where does bad breath come from and how does it develop? There are multiple causes of bad breath, however most of the time it is caused by bacteria which can cause an imbalance in your oral flora which leads to bad breath. Normally, there’s a harmonious and completely natural combination of so-called aerobic and anaerobic bacteria in the oral cavity. However, if the anaerobic bacteria gain the upper hand then bad breath is the result. These anaerobic bacteria, that live without oxygen, are particularly at home in interdental spaces (the gaps between the teeth and gums) in the cheek pouches and on the tongue. Anaerobic bacteria feed off protein-rich and sugary food residue such as meat, fish, eggs, milk products, chocolate and other nibbles. They also feed off any leftover food that remains between our teeth. And that releases unpleasant-smelling sulphur compounds. The more of these foods that are available, the more intensively the bacteria multiply. The result: Bad breath. Even the most common form of bad breath (Foetor ex ore) mostly occurs because of these putrefactive bacteria which particularly spread because of unfavourable dietary habits. What are the triggers of bad breath? Have you ever eaten an onion and then checked your breath afterwards? There are harmless causes for bad breath, such as the consumption of certain foods and stimulants, like nicotine, alcohol and caffeine. An unbalanced diet with too much protein and sugar can also amplify bad breath. Certain unbalanced diets can also have detrimental effects on the oral cavity. Last, but not least, poor oral hygiene can also be a possible cause of bad breath. Brushing your teeth correctly can banish bad breath. 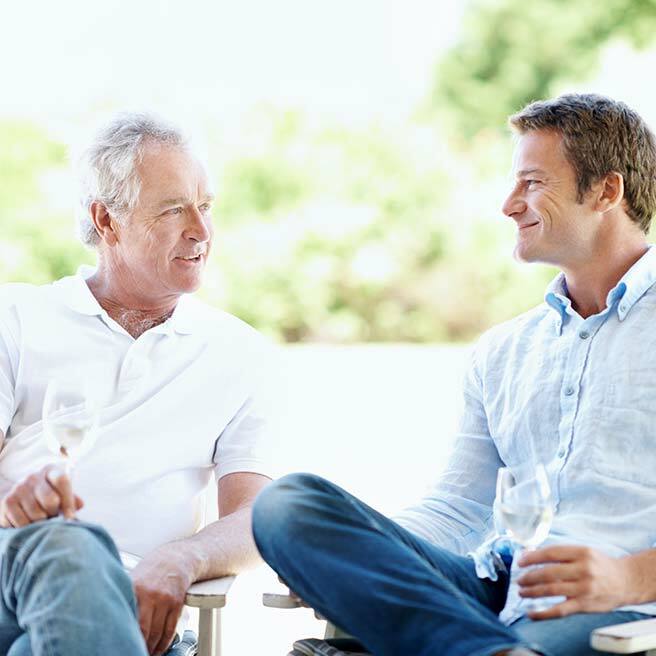 It is better to discuss underlying problems such as tooth or gum disease with your dentist. Sometimes, there is a lot more behind bad breath: Namely, bacterial infections of the throat, nose or pharynx, or gastrointestinal problems can also be causes of bad breath. If this is the case, then you must go and see your doctor. What forms of bad breath are there? As a rule, there are two forms of bad breath: It can either be “Foetor ex ore”, the Latin term for “unpleasant odour coming from the mouth”. Or it can be “halitosis”. With this illness the breath always smells bad, even when the mouth is closed and the sufferer only breathes through the nose. Do I always need to go to the doctor if I am suffering from bad breath? A doctor can professionally investigate the causes of bad breath and arrange for further treatment if it is necessary. Is the thought of going to the doctors uncomfortable for you? Please don’t be scared or ashamed. Bad breath can affect anyone. A simple gas analysis of your breath (gas-liquid chromatography done with a halimeter) can provide you with information about possible causes. In over 90% of all cases, the real cause of bad breath can be found in the mouth or pharynx. Can bad breath be caused by another illness? Bad breath has many possible causes, in most cases the cause can be found in the mouth or pharynx. However, in around 10% of cases there is another cause. For example, it could be a side-effect of medication, it could be caused by an existing metabolic disease or there could be another physical cause. If you are unsure of why you are suffering from bad breath and if it is persistent, please seek medical advice. Does bad breath caused by an illness smell special? Can you get bad breath as a result of snoring? Most of the time “Snorers” suffer from low levels of saliva. This in turn encourages the development of bad breath as the oral flora becomes unbalanced and bacterial deposits form. What can you do to combat bad breath? First of all, you need to establish what is causing the problem. What’s the trigger? In some cases, bad breath (halitosis) can be a symptom of an illness. Brush your teeth regularly and go to see your dentist. We have some important dental care tips on our website. 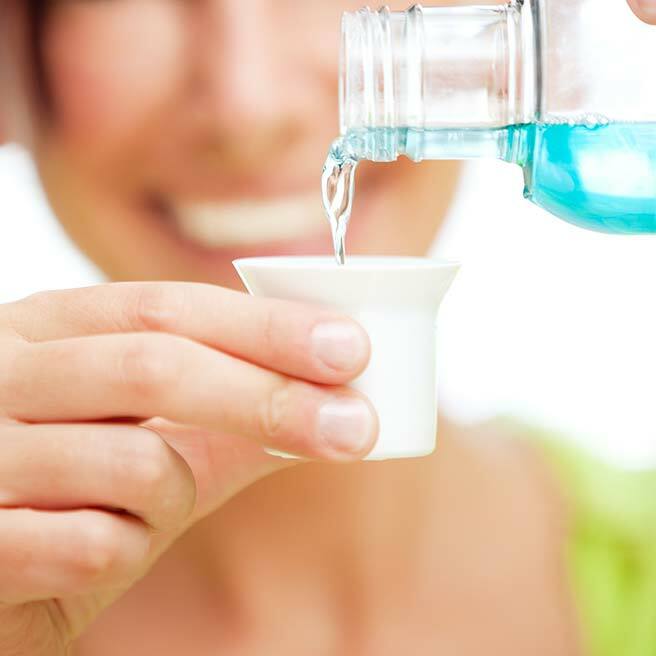 Does mouthwash help fight against bad breath? You should not use an anti-bacterial mouthwash in the long-term as this can also kill off the good bacteria and cause an imbalance in the oral flora. However, a tongue scraper is useful as you can use it to regularly remove the coating on your tongue. Furthermore, always remember to drink lots of water as a lack of fluids can also be the reason for bad breath. Are the bacteria in the mouth normal? The aerobic and anaerobic bacteria are part of a normal oral flora. When an imbalance first occurs, unpleasant smelling breath begins to develop. There are approximately 300 different types of bacteria that live in the pharynx and mouth. 80 types of bacteria specifically work to decompose proteins and in doing so, trigger the unpleasant smells. As foods contain protein, for example, sometimes bad breath can develop after food has been consumed. In this case, the decisive factor is the balance and the amount of odour-forming bacteria. If the “bad” bacteria gain the upper hand, then the breath smells bad. Why is the tongue often a cause for bad breath? Why do you mainly find the bacteria that cause bad breath on the tongue? The small mouth microbes like breaking down residual food, cell residues and also blood. Almost 80 types of bacteria are part of the special team that breaks down proteins. Volatile sulphur compounds such as methanethiol or dimethyl sulphate are formed from this and are released during the bacterial decomposition in the oral cavity. Bad breath results. Does a tongue cleaner (tongue scraper) help to fight against bad breath? The tongue cleaner is one method which can be used to minimise the amount of odour-forming bacteria in the mouth. If fewer bacteria settle on the tongue, then fewer unpleasant-smelling sulphur compounds which cause bad breath are released. Around 60% of the bacteria in the oral cavity can be found on the back of the tongue. Therefore, the tongue coating plays a role in causing bad breath. Do herbal remedies help in combating bad breath? Chlorophyll is what makes plants leaves green. It is a natural active ingredient. Thanks to its odour-neutralising properties, chlorophyll does a good job in the fight against bad breath. It inhibits the development of bad breath, as it stops the bacteria responsible for the decomposition of the food residue from working. Chlorophyll can be taken as a remedy for bad breath in the form of dragees. As such, Stozzon Chlorophyll Dragees are an effective aid against bad breath. Should you go to see a dentist if you have extremely bad breath? There are many odour-forming bacteria living and working in the pharynx and mouth. There are some areas in which the bacteria settle particularly well. In the oral cavity there are carious teeth, loose crowns or bridges, neglected dentures and protruding edges of crowns and fillings. Even before the wisdom teeth have broken through, the microbes do not stop and can also be found multiplying there. Likewise, gingivitis fuels the development of bad breath. The dentist can quickly and easily see whether dental treatment is required. If mouth or tooth-related problems are the trigger of particularly bad breath, most of the time the problem can be easily solved. So a visit to the dentist can absolutely help if you have a problem with bad breath. Can you imagine that you have bad breath (halitosis), but not really have it? Yes. There are people that believe that they have bad breath even if in reality they don’t. The imagination of halitosis, or bad breath, is known as halitophobia or pseudo-halitosis in medical terms. Can medication cause bad breath? Bad breath originating from the oral cavity is heightened by a reduction in the amount of saliva in the mouth. Aptyalism can be the result. Due to the low amount of saliva, the oral flora can become unbalanced: The microorganisms in the oral cavity produce increasingly smelly sulphur compounds and cause bad breath to develop. Aptyalism is a result of, for example, long-term mouth-breathing, snoring or taking certain medication. The package information leaflet provides information about whether the medication being taken can cause aptyalism. Anti-depressants, antihypertensive drugs or appetite suppressants can induce aptyalism. Is there a treatment for bad breath? There are many things that can trigger halitosis. First of all, it is important to clarify where exactly the cause lies. Then suitable treatment measures can be taken. All treatments for bad breath (halitosis) are tailored to the individual patient. A bad breath consultation can be helpful and the person affected can receive the first approaches and help to improve their problem. Where does bad breath in children come from? Information for parents! For the bacteria which trigger bad breath, it doesn’t matter to them if they settle in adults or in small children. Even though children suffer far less from bad breath than adults. But even with small children and babies, unpleasant mouth odours can occur. It is not uncommon for small children and babies’ breath to smell when they have just woken up. Whilst sleeping, the mouth produces less saliva. Normally, saliva takes care of physiological self-cleaning in the mouth. The bacilli on the mucous membranes of the oral cavity do not really go in the direction of the oesophagus. The musty smell in the morning, or after sleep, is pre-programmed. In addition, the microbes feed off residual food. If the child has not cleaned their teeth or has not cleaned them well, then the microbes in the mouth will have sufficient food to survive. The result? The development of bad breath. Dental care is incredibly important for small children. For example, dental caries can support the development of bad-smelling breath. If everything in the mouth is okay from a dental point of view, then the cause may be that too little saliva is produced. If this is the case, then this is best discussed with your child’s doctor. Children at school can be viewed negatively by their classmates if they have bad breath. If a child in class often suffers from bad breath, it can be used as a starting point for teasing or bullying. The two most common causes of bad breath in children are insufficient dental hygiene (cleaning teeth) and excessive mouth dryness. 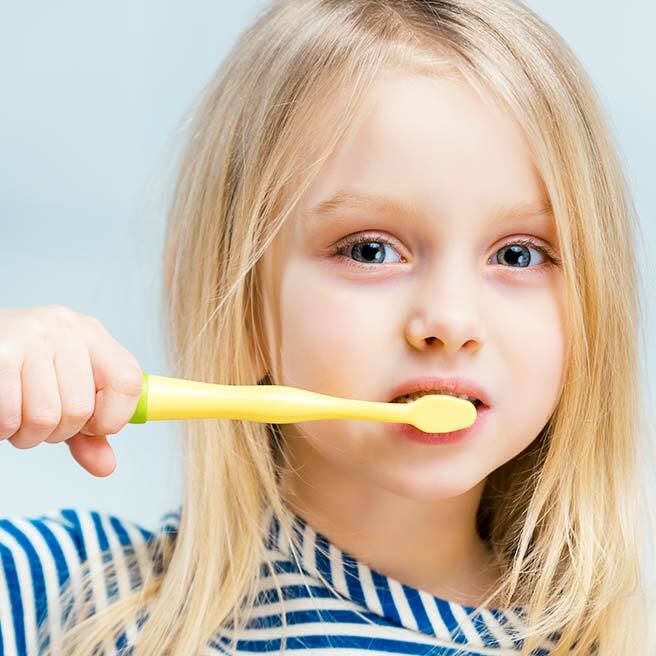 Therefore, parents should make sure that their children clean their teeth regularly. For excessive mouth dryness, a sufficient intake of fluids could be a remedy. Fortunately, in most cases the occurrence of bad breath in children is completely harmless. However, in some cases the cause may be an illness. Therefore, it is always a good idea to visit your children's doctor to rule out the possibility of the bad breath being caused by an underlying illness.